Knowing how to screen a tenant is a critical part of managing a rental property, and we have been successful with placing good tenants in the properties we manage. We start with a written set criteria which is noted on all our listings and on our website. So, when someone finds our listings through one of the sites we advertise on, it will usually state what the requirements are to be approved for a property. Our tenant screening requirements are very standard. We look for income to be at least three times the rent and verifiable. So, if the applicant is working under the table or not reporting income or mom and dad give them $1,500 in cash every month, that’s not going to count. It needs to be verifiable. If it’s court ordered child support, we need to see documentation. The entire household together needs to meet the income requirement. So, if there are two adults applying, the combined income needs to be at least three times the rent. We also look at credit. Everyone’s credit is different, so it’s hard to determine what the score should be. Scores are set depending on the open lines of credit that the applicants have. Generally we look for a credit report that reflects an overall positive score of 80% of total credit. Keep in mind, however, that someone with otherwise good credit might have a medical bills, causing their score to plummet. So, we don’t go by the scores too much. Instead, we look at the full report. We do ask that the credit is in good standing and we also look at two years of rental history or home ownership. There’s a lot of tricks to the trade as far as conducting checks and tenant verification. You need to make sure the tenant is telling you true statements. There are lots of things we do to check, and that knowledge comes with experience. 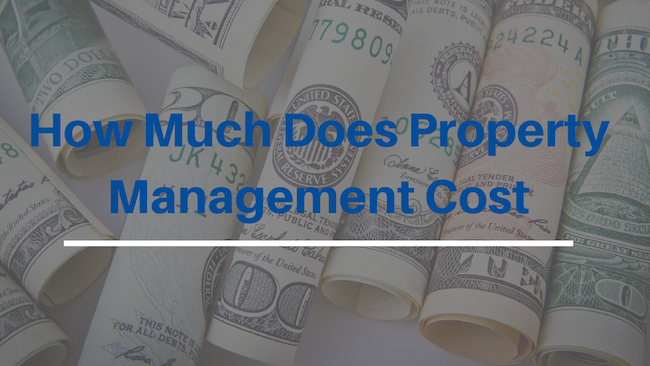 If you’re in property management long enough, you’re accustomed to verifying information and checking every box. We have good luck with screening and our eviction rate is next to none. Many times, we have several people interested in the same property. To make it fair, we use a first come basis. Whoever applies first and is qualified will get the property. We require all adult tenants to fill out an application, so the application isn’t complete until everyone who will be living in the unit applies. That’s when we begin screening, and the first completed application file gets the property if the tenants are qualified. 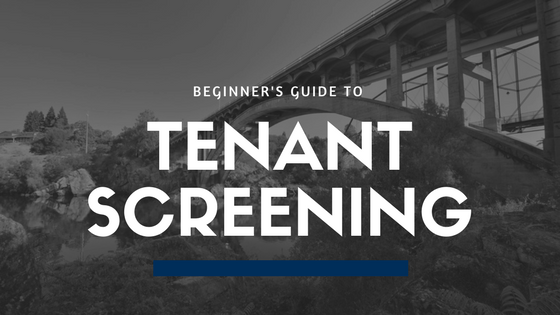 These are the best ways to manage your tenant screening process. If you have any questions, please contact us at Residential Equity Management. We’d love to tell you more about property management in Folsom, Sacramento or the surrounding area. When it comes to rental maintenance, responsiveness is essential, especially during emergencies. Our tenants have the option of reaching a live person after hours because we use a 24-hour service that picks up calls and work orders that come through our online portal. This means the tenant doesn’t even have to call in the problem. They can report it through the portal, and our service will respond. An emergency situation is when the safe living in the property is impeded in some critical way. We weed out the emergencies from non-emergencies. If we have a tenant who is living in a 2 bedroom 1 bathroom unit and there’s an inoperable toilet, we need to get someone out there to service it right away. We have an emergency sewer company we can dispatch. If the tenant is living in a 2-bedroom unit and there’s a toilet that’s running but the 2nd bathroom is fully functional, that’s not considered an emergency. As long as there is no sewage coming into the house, our answering service can go over obvious things the tenant can do like turning off the water source and general troubleshooting. Our contractors are on file and we keep notes in our software. Our software provider has an after-hours service that allows them to access our software and notes. So, it’s streamlined and efficient. There’s no need to manually add accounts to the system. We don’t have to do anything because they have access already. This helps us act quickly, and our tenants appreciate it. There are consequences to not taking a tenant’s concerns seriously. If there’s a sewer issue, you need to consider it an emergency. Not having heat is also an emergency. Those are habitability issues that you need to make priorities. Anything else would require the police or the fire department. The tenant won’t contact us if the house is on fire. So, those two things really need to be taken seriously, and you also have to act quickly if there’s a roof leak or water is coming into the house. 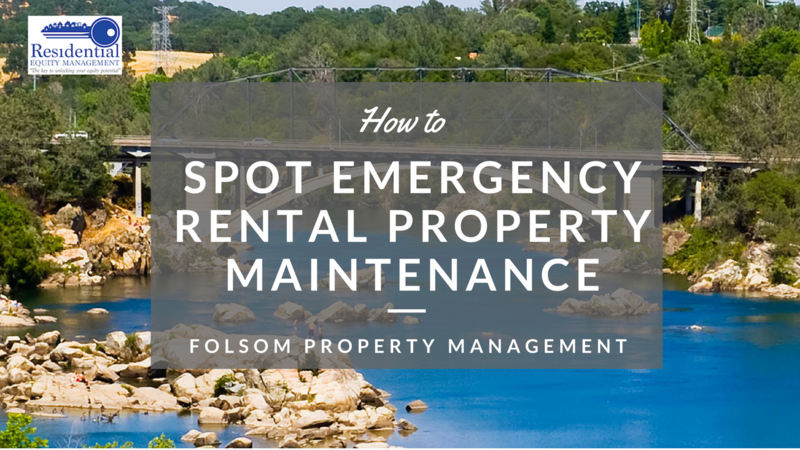 If you have any questions about rental property maintenance or anything pertaining to property management in Folsom, Sacramento or the surrounding area, please contact us at Residential Equity Management. Landlords wondering how to get a house ready to rent can really benefit from the leasing experience of a professional property manager. It’s pretty simple, but we know what tenants will be looking for when they are deciding whether or not they want to rent your property. The condition of the property is extremely important. You need to make sure any necessary repairs have been made and everything in the house is functional. It also needs to be thoroughly cleaned. No one is going to feel good about moving into a property that is dirty or cluttered with items that former tenants have left behind. Make sure the carpets are professionally cleaned as well. We always recommend fresh paint when you’re getting the property ready for the rental market, although this isn’t always necessary. Someone can live in a house for five years and never touch the walls or hang a picture. That will leave the paint in excellent condition. Just make sure the walls look freshly painted. There shouldn’t be any marks or smudges. It’s important that the property is re-keyed during tenant turnover periods. We don’t know if the prior tenants or the property owner gave copies of the key to friends, family members, or contractors. We want any incoming tenants to be safe, so we recommend the re-keying for security reasons. No one other than management and the owner should have access to the property. First impressions are important, so make sure the house looks good from the outside. The lawn should be mowed, the bushes should be trimmed, any debris removed, and there should be coverings on the windows. Your property doesn’t have to be in perfect condition to list it on the market. You can even show it with the carpet still needing to be cleaned (if it is not soiled) and the walls needing to be painted. We just want to make sure the condition isn’t terrible, and we know that the better it looks, the better quality of tenant you’re going to attract. We’d be happy to take a look at your property and make some recommendations on what to do before you put it on the market. 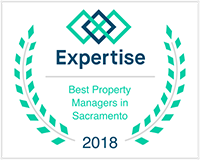 If you have any questions about property management in Folsom, Sacramento or the surrounding area, please contact us at Residential Equity Management. The speed with which you will rent out your property comes down to three key factors: location, condition, and price. The time of year often impacts your home’s time on the market because tenants typically move in the late spring and throughout the summer. If you want to know how to rent your house fast, you should understand that it ultimately comes down to its condition and location as well as whether it’s priced competitively. Because we don’t have a crystal ball, we don’t know how long it will take to rent a property. It can depend on the time of year, because people are busy moving April through August. Kids are graduating and tenants are deciding whether or not they like where they live. People often base their moves on the school year. While people move for a lot of different reasons, they will typically be looking for a new home in the spring and summer. So, you can expect to rent your property quicker in those months than in the winter months. You’ll also get higher rents during those busy periods. You won’t have to offer incentives such as $500 off the first month’s rent to get the property rented quickly. If the property is in decent condition and priced properly, you can rent it fast during the most popular moving times. If the condition of your home is fabulous and it looks like a brand-new house, you can plan on a very short vacancy time, and your home will rent right away. It’s a good reason to keep your home in excellent condition. People generally know what area of town they want to live in. Whether we consider it a good neighborhood or not is irrelevant; prospective tenants will have their sights on the neighborhood they want. It might be close to a good school or the freeway they take to work or in the vicinity of other family members. There are various reasons why people move to a specific area. Really, the amount of time your home is on the rental market depends on price. It always comes down to price and whether it’s the right price for your property. If you have a home that is priced competitively and the condition is comparable to other available homes, it will usually rent quickly. 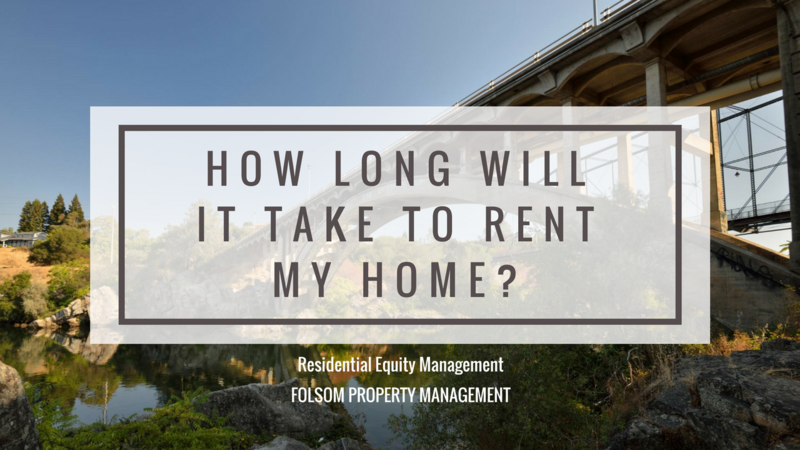 These are some of the things to consider when you’re wondering how long it will take to rent out your property. If you have other questions about this or anything regarding property management in Folsom, Sacramento or the surrounding area, please contact us at Residential Equity Management. One of the first questions landlords and investors ask when they contact us is: how much can I rent my house for? People want to make sure they are covering their expenses and earning a profitable rental income. However, you always need to remember that it’s the market setting your rental price, not your expenses. 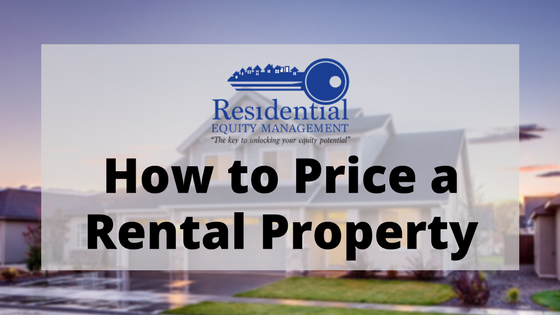 Today, we are talking about how to price a rental property and what to consider when you’re attaching a value to that investment. 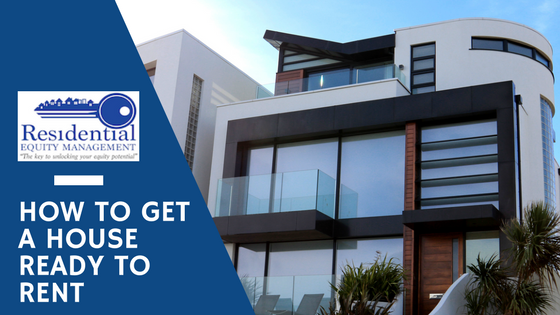 Sometimes, in determining how much to rent a property for, the landlord will come to us with an accounting of the mortgage payment, taxes, and insurance, hoping to earn at least that much in rent every month. They’ll even include the HOA dues, which are often not a tenant’s responsibility. It’s important to understand that you cannot price your rental according to your own expenses without doing your homework. Your price will depend on comparable properties in the area. Instead of your expenses, you need to consider your square footage, location, and property condition. In Sacramento, there are different neighborhoods, so prices fluctuate. We have a lot of track homes as well as other single family homes in older neighborhoods. When you have a property in a newer development, they are easy to price because they are the same age and close to the same layout. These properties may vary in square footage, but they are still easier to price. We use a tool in our software, where we have a rent match comparison. It allows us to put in the bedroom and bath square footage and add amenities for a particular property. When that property comes up for rent, we refer to our software to see what’s happening within that zip code. We’ll also go to Zillow and Rentometer and the other online resources. If we are comparing our listing to a property within a mile, we know we can price it within $100 or so. This is how we effectively price rental properties in the Sacramento area. 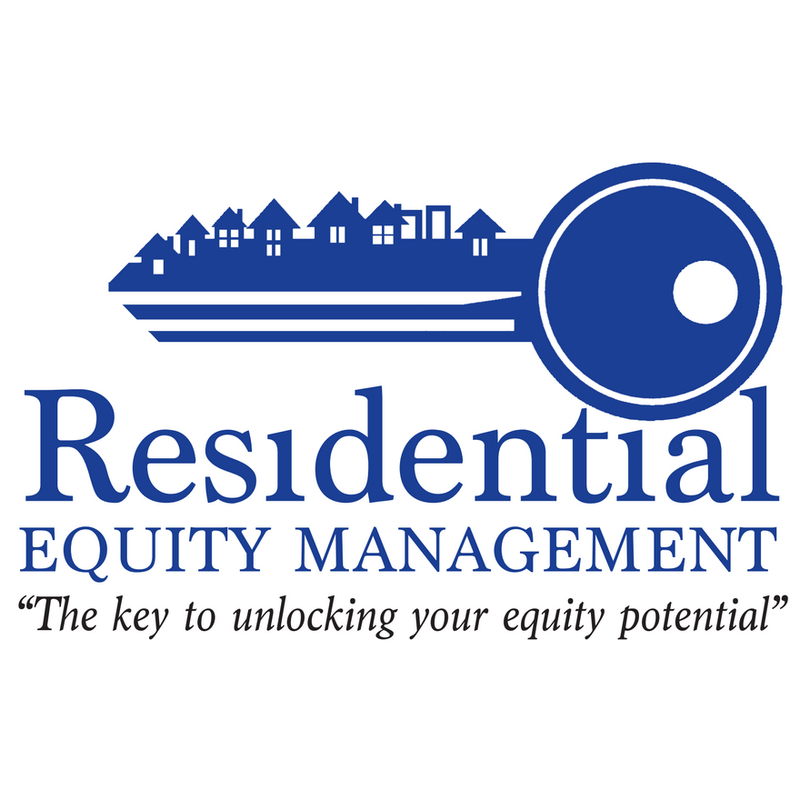 If you have any questions about this or anything pertaining to property management in Folsom, Sacramento or the surrounding areas, please don’t hesitate to contact us at Residential Equity Management. Convincing a tenant to allow you to arrange the cleaning of carpets after they vacate can be beneficial to both the client and manager. This will help determine or discover if there is carpet damage (mainly pet) beyond normal wear & tear as the carpet technician can fully inspect the premises without having a bias opinion to the person writing the check. If you have a regular carpet cleaning company, you are most likely receiving services at a discounted rate. The tenant will be pleased to follow your lead knowing they too will reap the benefit. This is also a great opportunity to have the carpets inspected if you have any suspicions. There is a great tool out there that detects the main ingredient in urine, salt. !!! The tool is a hand held wand with a probe at the end that resembles a large needle. The probe is punctured into the carpet & pad in suspected areas of the room such as corners. The needle is small in width & leaves no damage to the floor or carpets. Anytime I suspect urine, even if the tenant uses another carpet cleaner, I request the probing. It works & will save you the hassle of explaining yourself to the client if you or the new tenant discover the damage after the security deposit has been returned. An option for those dying lawns! Maintaining the landscaping during the vacancy period is imperative. The immediate need when a unit comes vacant is to ensure the electricity is transferred. Without the electricity, the auto timer cannot function & can make it difficult for your handyman & vendors to make necessary repairs. Here in Sacramento, the weather can reach 100 degrees or more. Landscaping and lawns can burn within a one week period or potentially less. Relying on neighbors to water your property is not realistic and can become a potential liability if someone were to trip & fall on the premises. Communicating the need for curb appeal with your client is simple. After all, curb appeal is the first step in getting your vacancy filled as qualified renters typically judge a property from a simple drive by or available exterior pictures. If an auto sprinkler system is unavailable or a manual one exists, there are still options to ensure the landscaping or lawns are watered on a regular basis. For less than $100, an electronic watering system can be purchased. Electronic watering systems simply run by batteries & are attached to available hose bibs & hoses. The timer can be used by the tenant during their tenancy or can be stored at the property for future vacancies. The City of Folsom represents a truly unique & very diverse real estate market. The city offers a wide range of community characteristics bundled into one local market: from the historical district in Old Town Folsom and the surrounding charm of the vintage neighborhoods, to the very newest and most luxurious homes in the neighboring foothill communities. Folsom's individual communities maintain a distinct sense of character and appearance with an overall sense of community togetherness in the city itself. There is an abundance of local activities, vibrant business community and atmosphere of balanced growth, to being one of the strongest educational perspectives within the state. Management of real estate in the Folsom area requires knowledge of the bountiful options offered in each development. The manager must match the appropriate needs and desires of the prospective tenant or investor with the specifics of a particular community. Currently, single family rental homes range in price from $1,195 up to $,2800 per month, depending on location, amenities & square footage. For many years to come, the City of Folsom's real estate market will continue to thrive & provide various real estate investment & rental opportunities. If you find yourself either needing to rent your home in Folsom or if you are interested in renting a home, please give me a call at (916) 458-5244 or visit our website atwww.ResidentialEquityMGMT.com to inquire about our current listings.